Here, we share some festival agenda templates you can use for you to create an agenda form quickly and not waste your time starting from scratch. 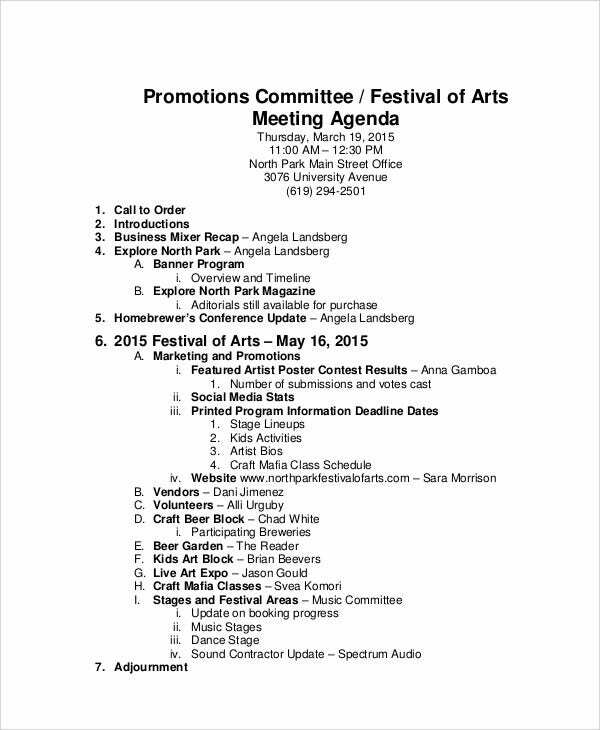 We also share a brief description for some festival agenda templates on where they can be used for. 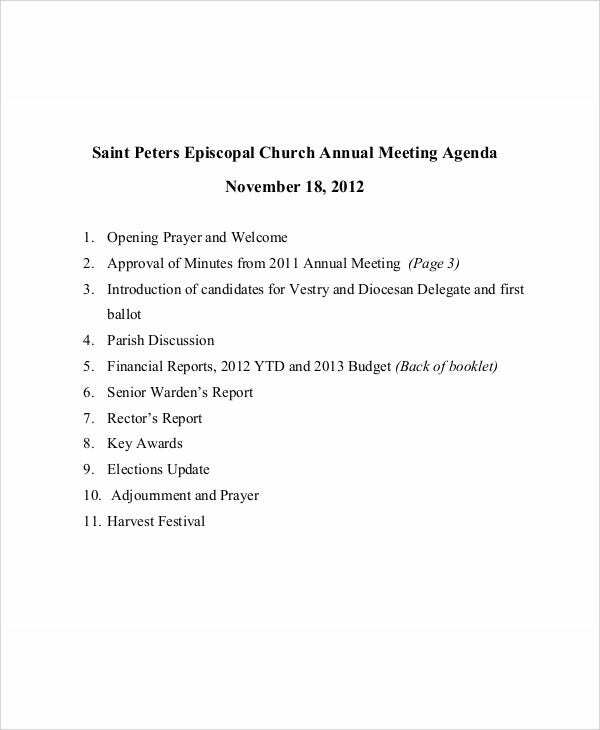 You can also check out our website for more general Meeting Agenda Templates for other gatherings. Time frames. 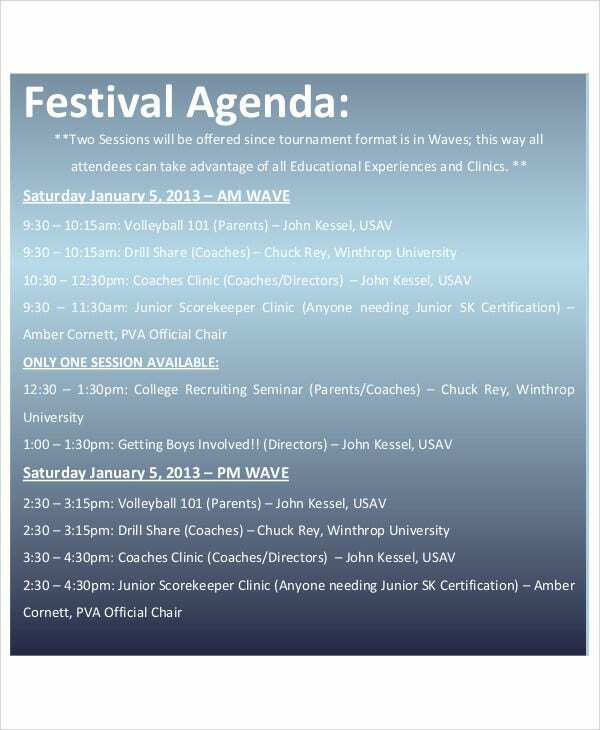 You will need to set schedules for the activities that will be involved in the program. Since what you will be preparing is for upcoming festivals, it would be advisable to take down notes on whatever ideas your members may suggest and as much as possible be able to come up with various creative activities for the public to enjoy. Objectives of the meeting. Be sure to be able to narrate to your team all of your ideas for them to know what your plans and approach for your event will be. Always be sure to take down notes as well to be able to track all ideas being shared in your meeting. Track member attendance. It is important to track the attendance of your members to know who are dedicated enough to make your event successful. This is also to help you assign heavier tasks to the most dedicated and trusted members of your group. You can also check out our website if you need School Agenda Templates or if you need an Effective Meeting Agenda Template, meeting agenda templates, or an annual agenda template. Sample Festival Meeting Agenda. 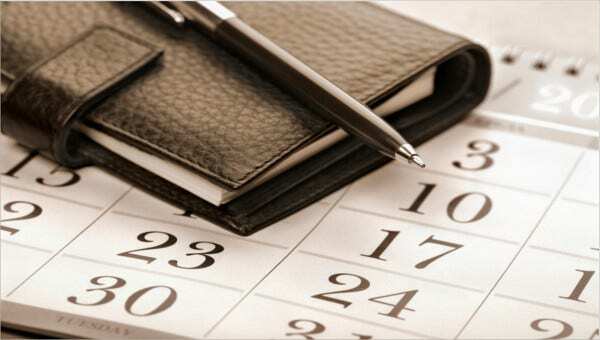 These types of agenda templates are the most commonly used ones with details that may indicate the date for the event, the date of the meeting, the schedule of the meeting, time frame of the meeting, and the things that needs to be discussed as well. 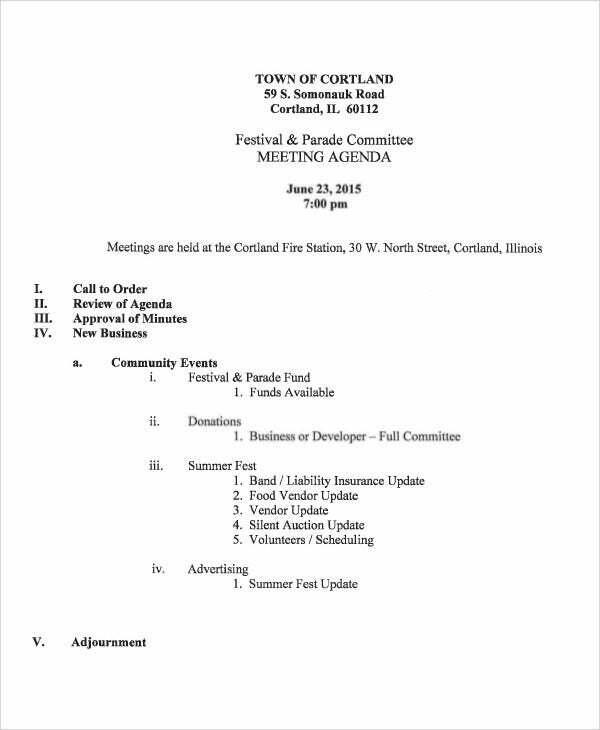 Annual Meeting Agenda. 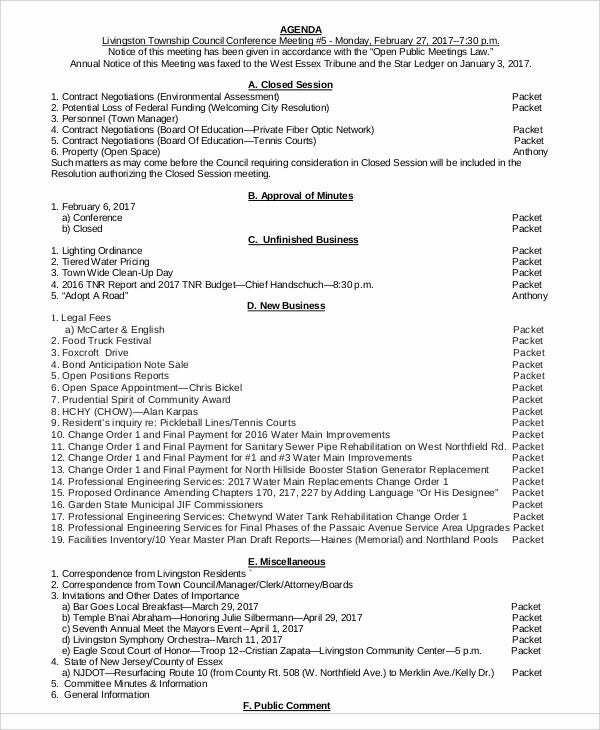 These types of agenda templates are rarely used. 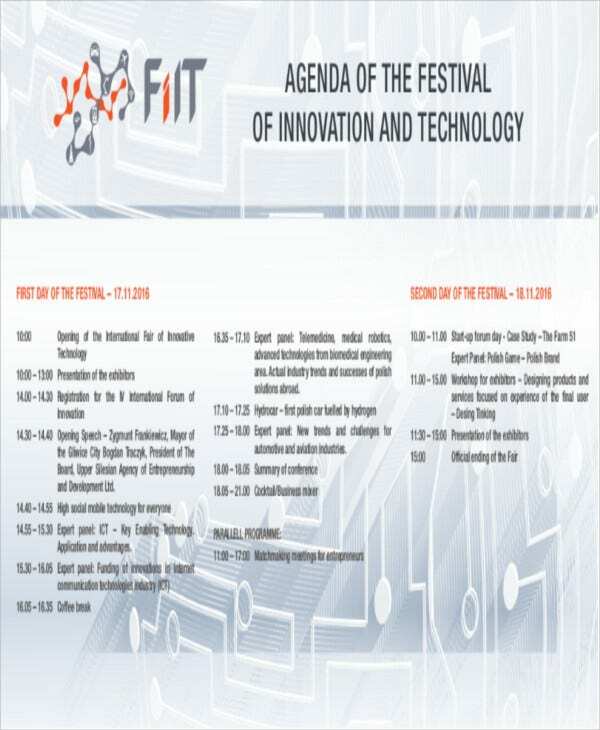 Like a typical festival meeting agenda form, they most likely contain the same information where you are able to see the different time frames and different activities that will be happening in the program or meeting. Agenda for Food Truck Festival. 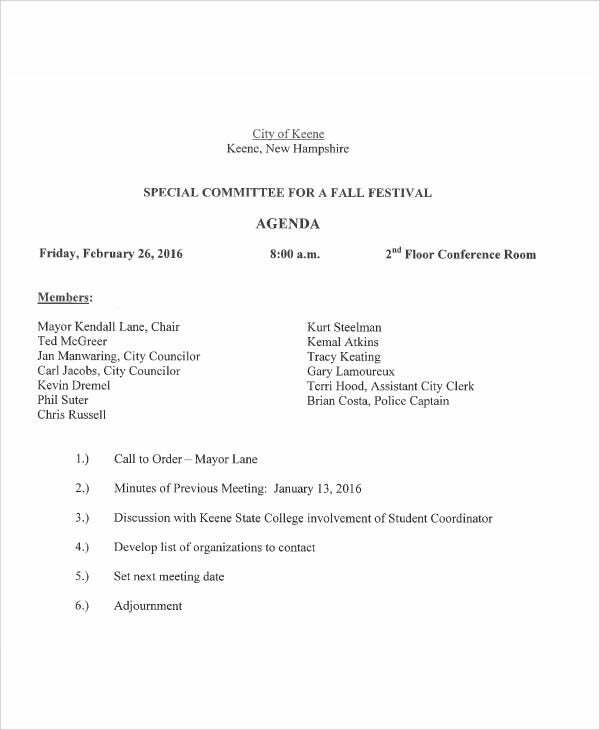 You can use these types of agenda forms if you need to discuss with a committee about concerns on having a food truck festival where you can include the events that will take place in the program and the different kinds of food and beverages that will be served in the event as well. You can also check out our website for more Strategy Meeting Agenda, Agenda Template Designs, and Hourly Agenda Templates or if you’re looking for a printable agenda template.